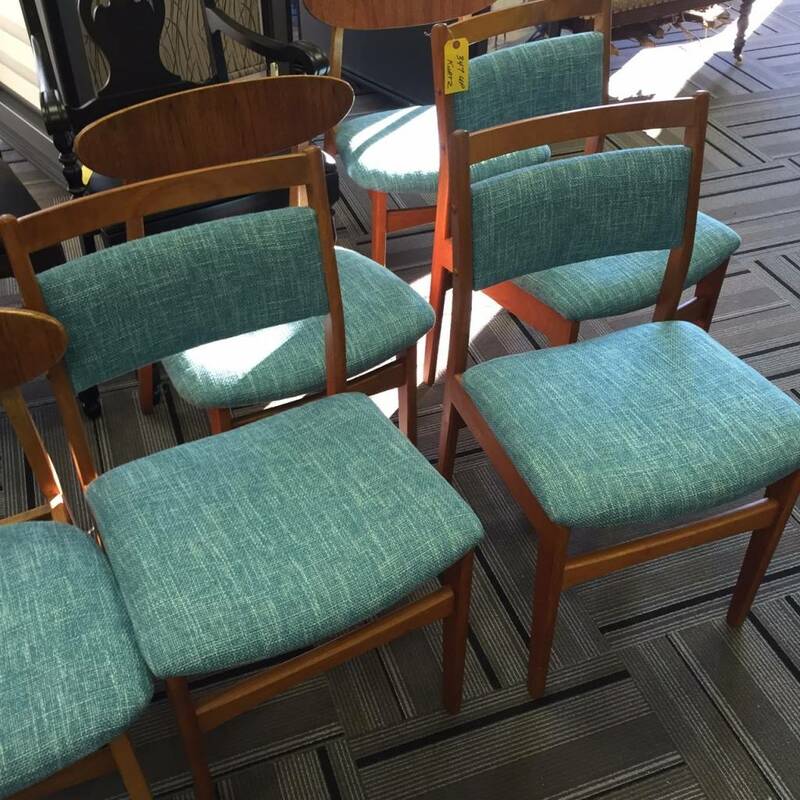 Over the last little while we’ve come across a couple of sets of 50s/60s dining room chairs and picked them up for a decent price at the Avenue Antiques Market here in Calgary. 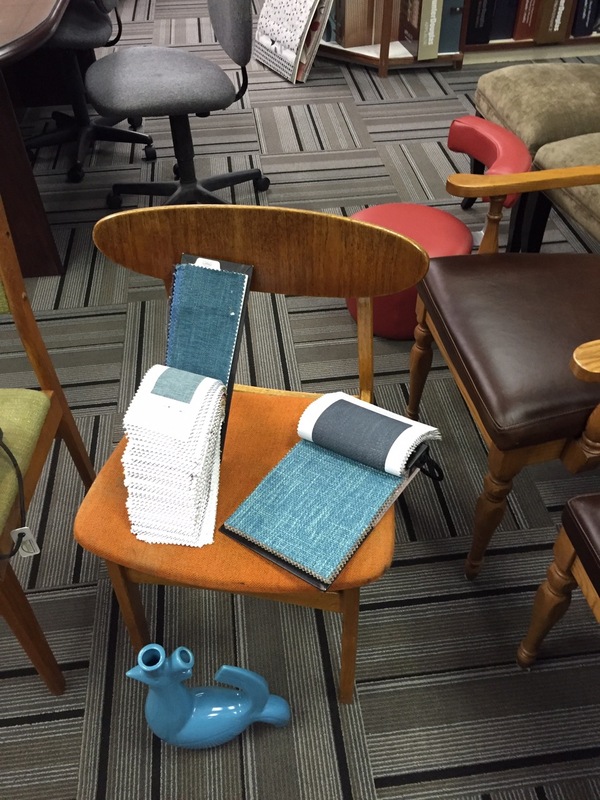 With Avenue Magazine coming by to do a photoshoot for an upcoming edition, we thought it was about time that we had them re-upholstered and boy, were we amazed by the results! So we took the lot to Laila at Chinook Upholstery in Calgary and set about trying to find a fabric that might work. 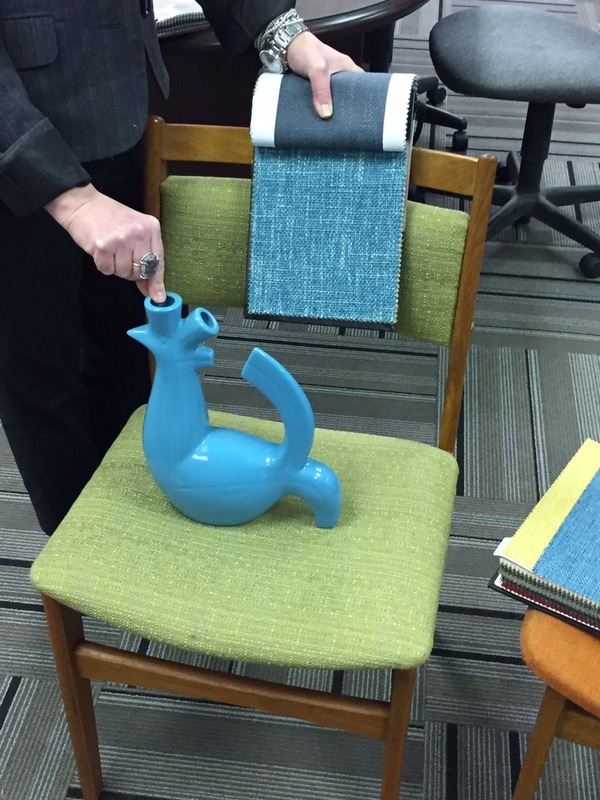 They had thousands of swatches and to help us narrow things down, we took the blue chicken ceramic piece along, and we found some great mid-century looking fabric. Laila and her team were able to redo all of the chairs in under two weeks and the results were fantastic. 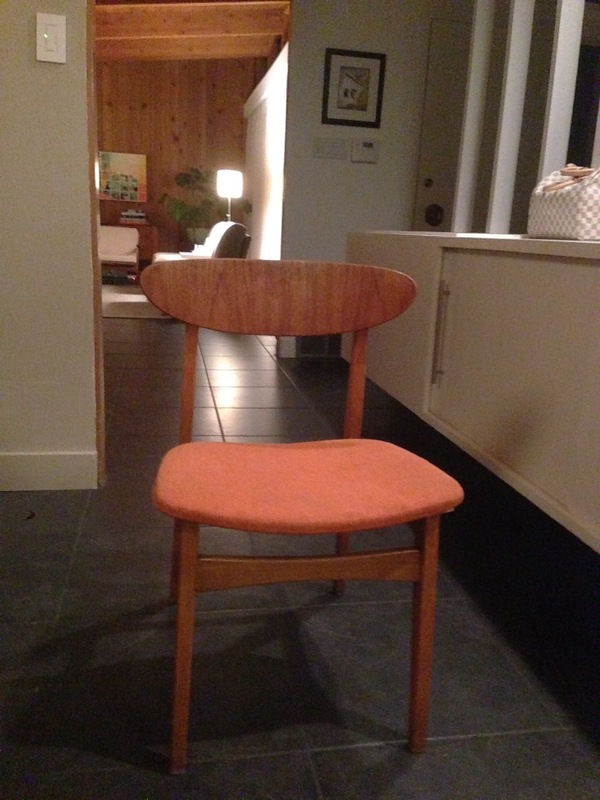 In particular, the orange chairs with the oval backs were the most challenging – there’s not a straight line on the seat and it’s dished as well – but the results are amazing, looking better than I’m sure they did when they left the factory! Stay tuned for some images from the magazine shoot, but we are thrilled with the way they turned out, they are going to be looking good for another 50 years!